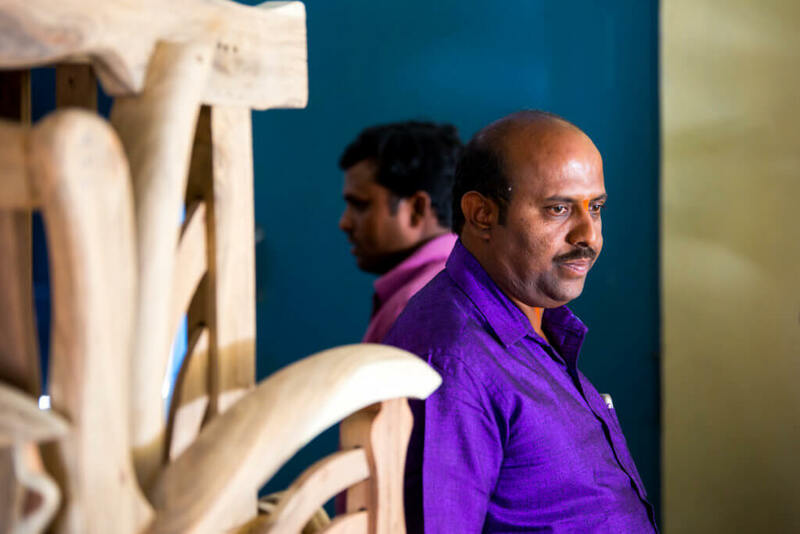 For more than three decades, TN Shankar has been crafting custom wooden furniture in Bengaluru, India. He started with one small shop in a rented building, buying just enough material to get by day-to-day. But TN Shankar wanted to expand his business and build a better life for his wife and two children. When he approached traditional banks to get the funds he needed, TN Shankar found that the processing time for loans was too long to meet the needs of his small business. Things changed when TN Shankar learned about Accion partner Aye Finance and their customer-friendly products for small business funding. Aye uses a unique industry cluster-based approach. They study various industries, such as garment manufacturing or furniture making, and only lend to clusters they understand well. Since Aye had a deep knowledge of TN Shankar’s industry, they could process his application quickly. Within a week, he received the money he needed, allowing him to buy more materials so he could produce more furniture and increase his income. With the help of Aye, TN Shankar moved his shop to a better location in the city, where he could reach even more customers. Eventually, he opened a second shop to meet the growing demand for his custom furniture. As his business continues to grow, TN Shankar looks forward to opening up more shops around Bengaluru. He knows that as his enterprise expands, he can continue to depend on Aye to quickly access the funds he needs to help his business grow and his family thrive.